Eppie’s Great Race® known as “The World’s Oldest Triathlon®”, “The Great Race”, the “No Swim” Triathlon is the largest paddling event in the United States! 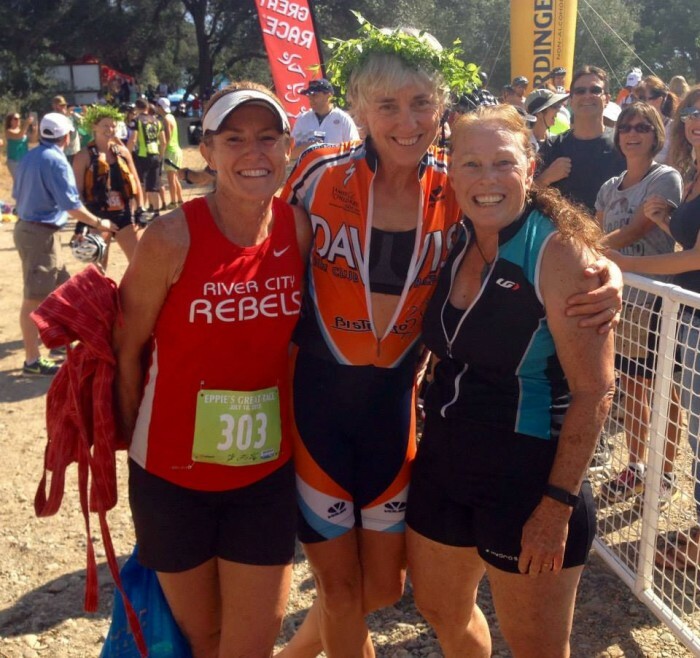 Sacramento-area restauranteur/entrepreneur Eppie Johnson founded the event in 1974, holding it’s first triathlon on July 27, 1974 being the first “Modern Triathlon”. It has been held every year since and is a Sacramento-area summertime tradition for elite athletes, fitness enthusiasts, friends and families. The race features a 5.82-mile run, a 12.5-mile bike and a 6.10-mile paddle held along the scenic American River Parkway in Rancho Cordova and Sacramento. Awards are given to the first, second, & third place division winners. > Captain is responsible for registering all team members, complete contact information for each team member, and submit T-Shirt size for their teammates. ~ Any Existing Team Registrations Being Amended during Late Registration on Friday, July 15th, will incur a $25.00 Fee.